Upper Alabama tributaries occur in Crenshaw, Dallas, Montgomery, Bibb, Bullock, Elmore, Lowndes, Autauga, and Chilton counties. Major cities in this portion of the basin include Montgomery, Prattville, Millbrook and Selma. Autauga Creek flows next to Prattville and joins the Alabama River on its west bank. The name Autauga is thought to be derived from atigi which is Creek for border. The Cahaba River is discussed in detail in the Cahaba River watershed summary. The Cahaba joins the Alabama on the northern bank just a few miles south of Selma. Middle Alabama tributaries occur in Butler, Dallas, Marengo, Clarke, Lowndes, Wilcox, Perry, Conecuh, and Monroe counties. Major cities in this portion of the basin include Camden and Uniontown. Bogue Chitto Creek begins in Perry County just west of Marion and flows into Dallas County where it joins the Alabama River on its northern bank at Lake Dannelly. 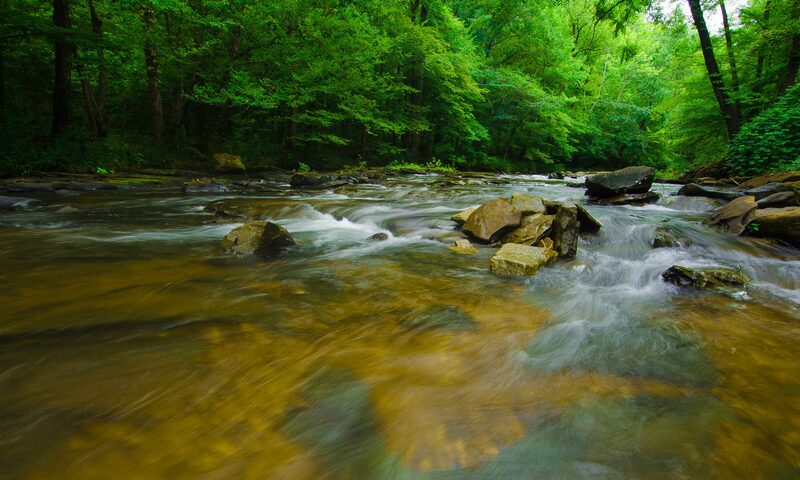 Its name is derived from the Choctaw word Bok meaning creek and Chito meaning big. Lower Alabama tributaries occur in Baldwin, Escambia, Clarke, Wilcox, Conecuh, Mobile, and Monroe counties. Monroeville is the only major city in this portion of the basin.